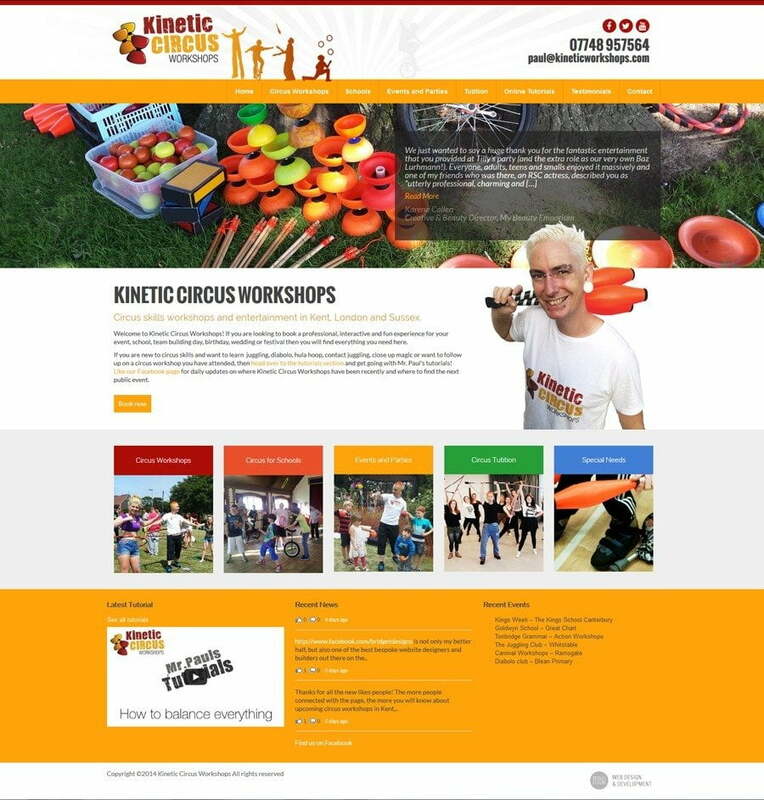 Kinetic Circus are a Kent based Circus company offering circus workshops and entertainment for public and private events, weddings, parties and in schools. The brief was to create a bright, attractive website that had a circus feel without being clichéd or childish. The design had to be fun but professional and appeal to a wide range of different audiences, both children and adults. The design need to clearly show the different types of workshop and entertainment available and how to book them and it need to include a video tutorial section and a news feed that was linked to Facebook. The website uses a bright colour scheme of red, orange and yellow combined with lots of white space. This gives the website a fun, bright, but professional feel. The different workshops are listed clearly on every page to help visitors find what they are looking for quickly and large bright photography adds colour and life to the pages. The video tutorials section is linked to You Tube to maximise viewing hits and the news section is a live feed from the company’s Facebook page meaning that they only have to update their news in one place and increasing social media interation. The project included the re-design of the company’s existing logo, business cards and t-shirts to fit the new theme.